The show poked fun at him in a segment called "People Who Somehow Get Elected"
Gov. Paul LePage speaks at a news conference at the State House on Friday, Jan. 8, 2016, in Augusta, Maine. LePage apologized for his remark about out-of-state drug dealers impregnating "young white" girls, saying it was a slip of the tongue. HBO's "Last Week Tonight" featuring John Oliver focused its comedy crosshairs on Maine Gov. Paul LePage on Sunday night. 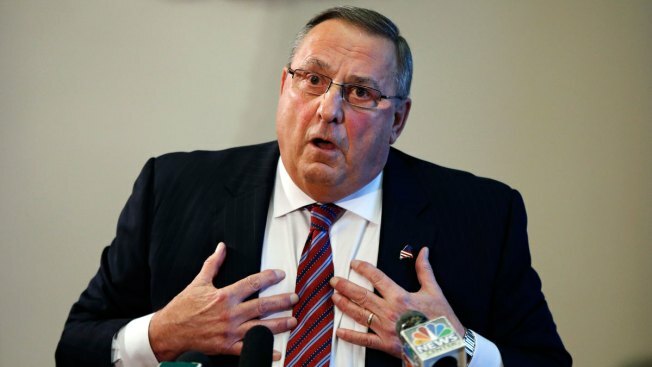 In a 5-minute segment, called "People Who Somehow Got Elected," the show recapped several of LePage's more controversial moments, including comments he made about drug dealers that some deemed insensitive, graphic statements about a state lawmaker and his now-infamous "Ziki fly" remark. It also mentioned the 400-plus vetoes the governor has issued since taking office. "He's not one of those politicians who will think one thing and say another," the segment said. "He'll always tell you exactly what's on his mind, no matter how horrifying it is." Click here to watch the full video. Warning: the video contains numerous expletives.